I also gave a presentation talking about how I made it. Slides available here. Disclaimer: Most of the code has been written from scratch without following any rasterization specific tutorial, papers, etc.. Because of this, there's probably (100% sure!) better ways of doing this. Please also keep in mind that despite I've done some optimizations to the code, it wasn't created with performance as a main objective and it is not intended to be used in "real world" applications. 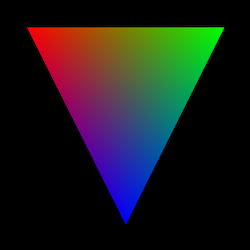 Rasterize colored or textured triangles. Rasterize triangles in a wireframe mode. 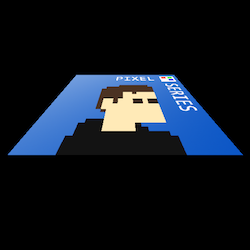 Perform perspective correct texture mapping. Clip triangles that are partially out of the frustum. Download GLFW 2.7.9, uncompress it, go there with the Terminal, and type "make cocoa", then "sudo make cocoa-install"
Even though this project has been developed mainly on Mac with Xcode, it is also compatible with Windows. The only setup it requires is configuring the "Working Directory" (inside the project "Properties"->"Debugging") to "$(ProjectDir)\SoftwareRenderer" . Also, at the moment only the x86 build works.